Link Interactive offers monitoring services though their UL Listed, Five Diamond Certified monitoring station which provides 24/7 protection against intrusion, medical and personal safety, fire and environmental hazards. Link Interactive includes fully integrated cellular monitoring on all their plans, which eliminates the possibility of defeating the system by disabling cable or landlines. Their most competitive monitoring rates are offered through Costco, and include Alarm.com interactive services that incorporate “Crash and Smash” technology which will notify the monitoring station even if the system is destroyed. 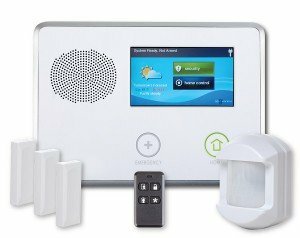 Gold-Link Interactive keeps it very simple with the basic package including virtually every imaginable security option- including full home automation and energy management, crash and smash, 2-way voice authentication and Alarm.com interactive services for just $29.99/mo! 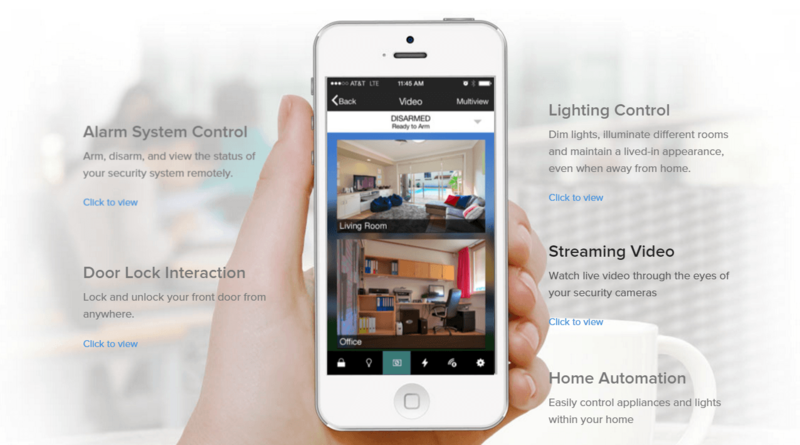 Platinum– Want to add Video Monitoring? Link Interactive offers competitive pricing, with a $74 credit on your first video camera, and include remote viewing and off site recorded video storage for just $5.00 more…only $34.99/mo. The Control Panel that is included in all packages is the highly regarded 2GIG Go!. This panel comes with an integrated Cellular Communicator and Z-Wave capabilities right out of the box. It has a clean mimimilist aesthetic design and even has a weather display and severe weather alert capability. The system can be fully customized with available a la carte pricing as well as standard packages which can be further customized to meet your individual needs and preferences and preferences. The cost of additional sensors are extremely competitive, with door and window sensors starting at just $28. They have some unique offerings such as recessed door contacts, plunger-type wireless door contacts, image sensors which are a combined motion detector and an integrated still camera, and an interior strobe and siren combination. But, perhaps my favorite is the combined smoke/heat and freeze protector. This one sensor provides protection against smoldering fires, flash fires and frozen pipes- all in one device…for just $73! There is a comprehensive selection of equipment available to meet virtually any security, home automation, energy management or surveillance needs- accompanied by one of the best monitoring rate plans available in the marketplace.! With an A+ BBB rating, Linkwatch Interactive has a solid reputation and a 60 year track record of providing superior customer service. While there is no Professional Installation available, 92% of their customers found the system easy to install. In addition to online videos, tutorial and e-books, they offer outstanding telephone, live chat and e-mail support. 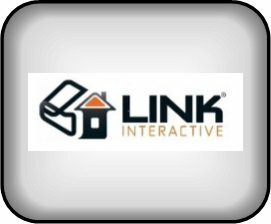 As evidenced by their A+ BBB rating, Link Interactive offers exceptional customer service and one of the most complete security and home automation programs in the industry. They offer an extensive equipment selection and extremely competitive monitoring packages which feature the top rated Alarm.com interactive services with Crash and Smash protection and 2-way voice authentication. While they do require an industry standard 3 year monitoring agreement and some up front equipment costs, their equipment and monitoring pricing is among the most aggressive in the industry.- and deserving of a spot in the HSA Top 5 for 2016!